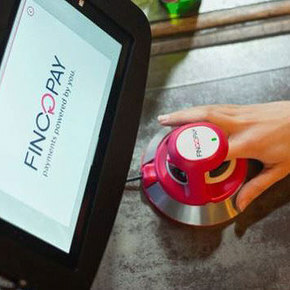 The Fingopay system from Sthaler lets customers pay with a touch of a finger—no card or smartphone required. The Fingopay system is equipped with the VeinID recognition technology from Hitachi, which relies on infrared light to map the 3D pattern of veins inside the finger. This vein pattern is unique to each individual and does not change with age, allowing identity to be confirmed in seconds. Finger vein recognition technology has already been used successfully in several sectors, and eliminates the need for ID cards or passwords.